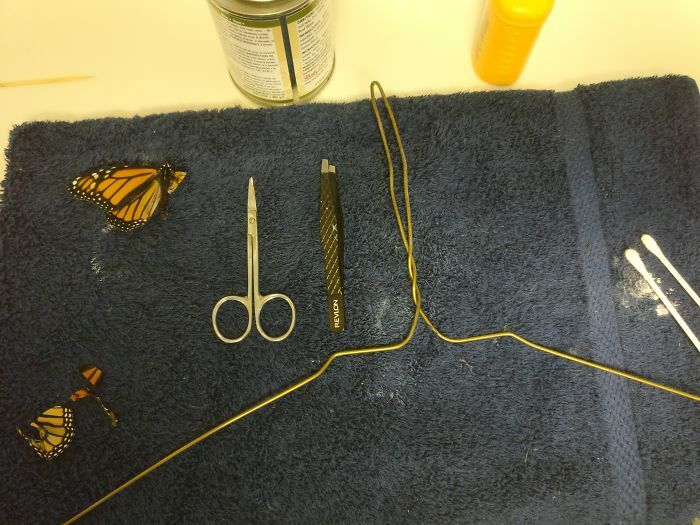 Equipped with a coathanger (wire), a towel, a wire hanger, a toothpick, cotton swabs, scissors, tweezers, quick-drying cement, talcum powder, Romy set about using a dead butterfly’s wing to give flight to a newborn. 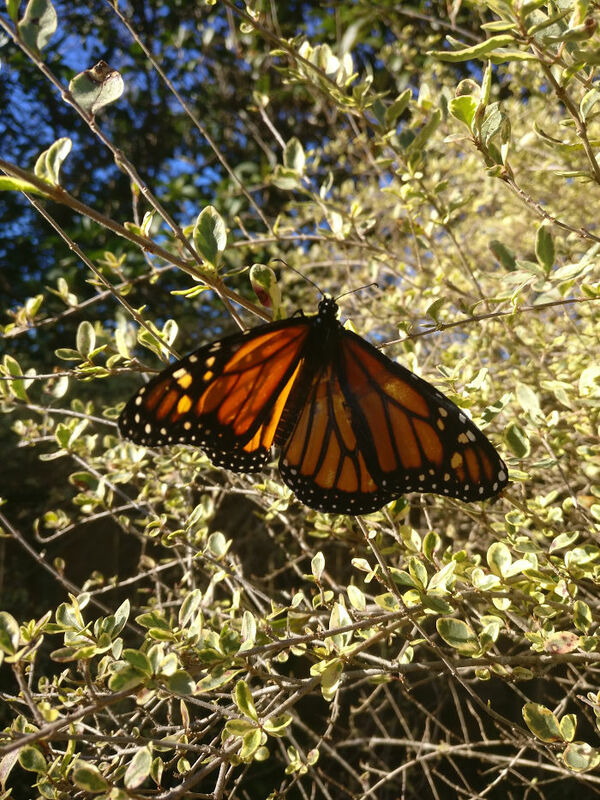 No anaethetics were used. 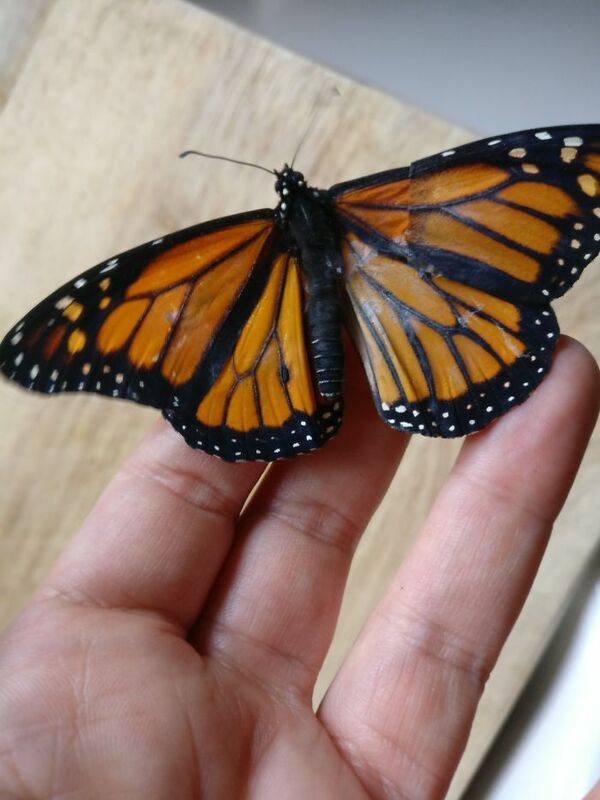 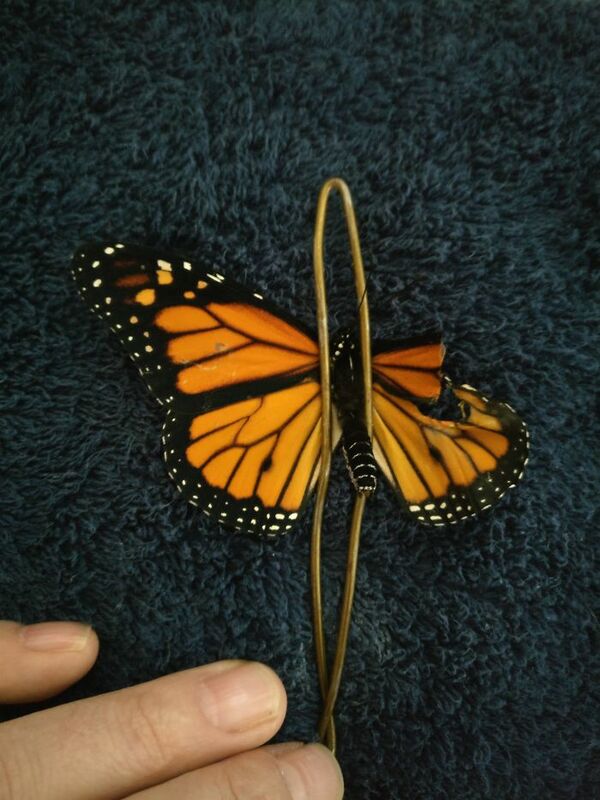 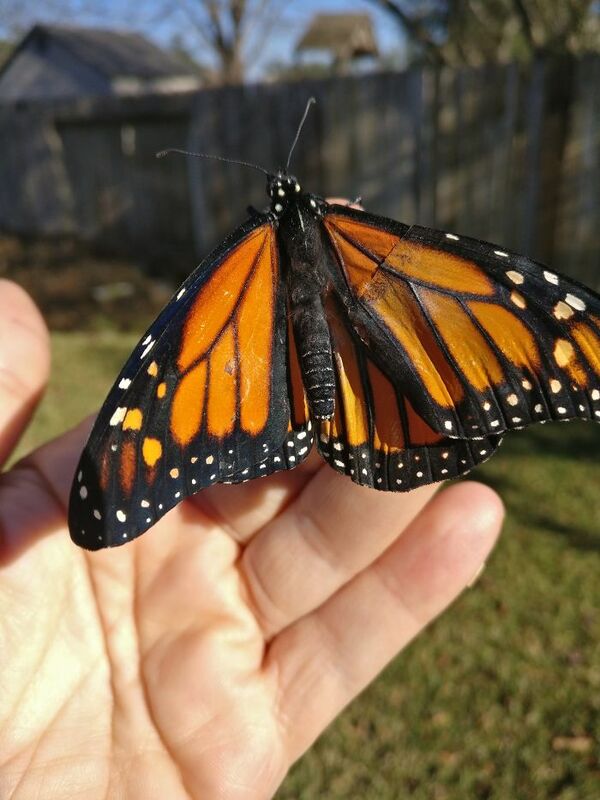 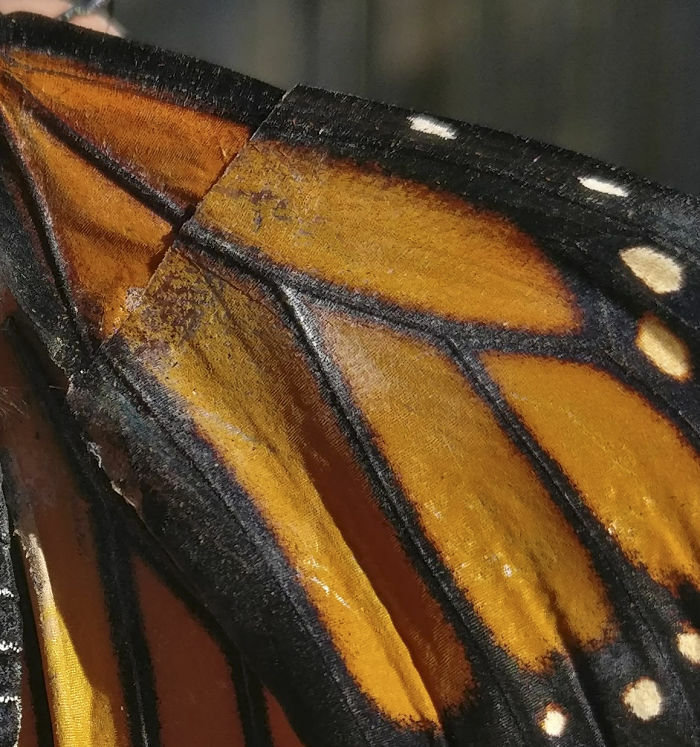 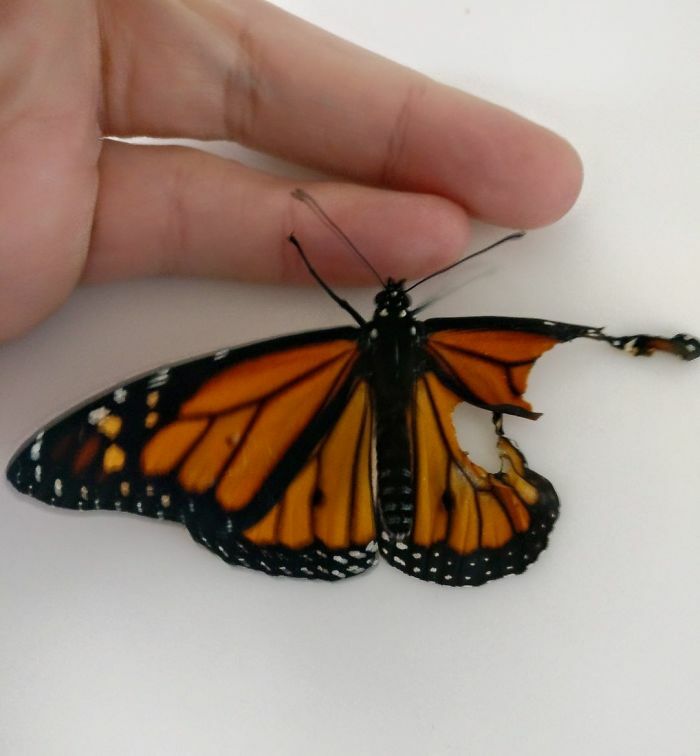 Apparently, Monarch butterflies do not feel pain in their wings.